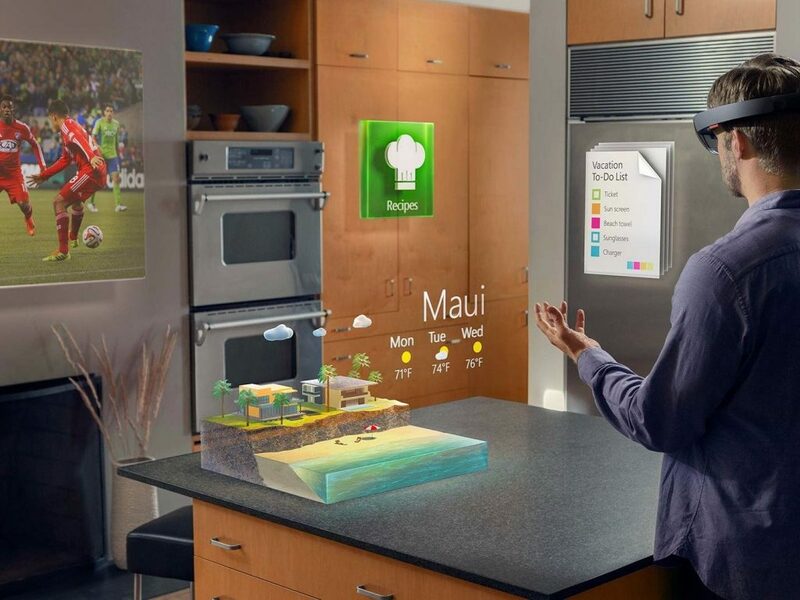 The weather hologram has been introduced on various HoloLens marketing videos. The 3D model of a specific location is beautiful. However, it is not practical and almost impossible to create 3D models for all cities around the world. When I started a collaboration with Bing Maps team for Maps SDK, I imagined the possibilities of using Bing 3D Maps with weather API’s data to create a weather hologram. With new 3D Maps SDK, I could easily access latitude and longitude of the city locations with names. Using this data, I integrated OpenWeatherMap’s API to retrieve weather data for a specific location. Below prototype shows the example of using 3D Maps + weather data.